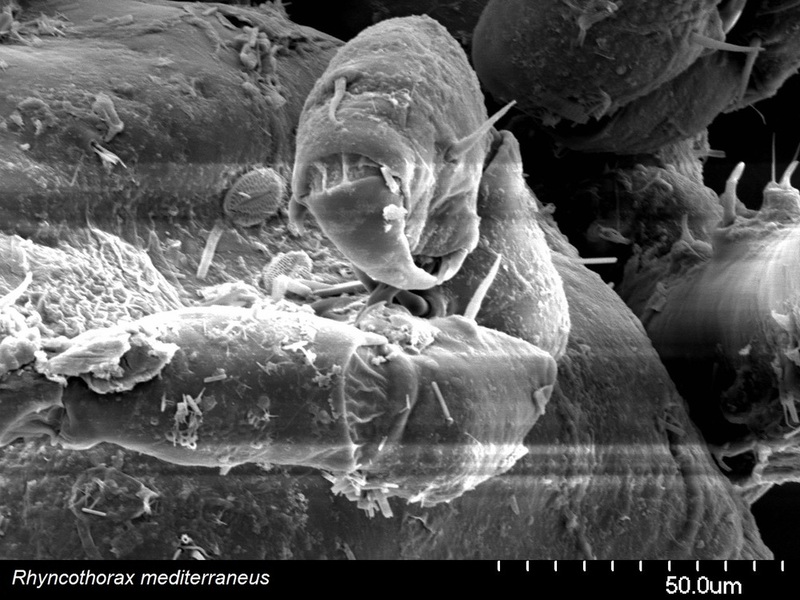 We are using both light and scanning electron microscopy to look at microscopic structures on the surfaces of sea spiders. Antarctic sea spiders are so big that sometimes we can just use our cameras! 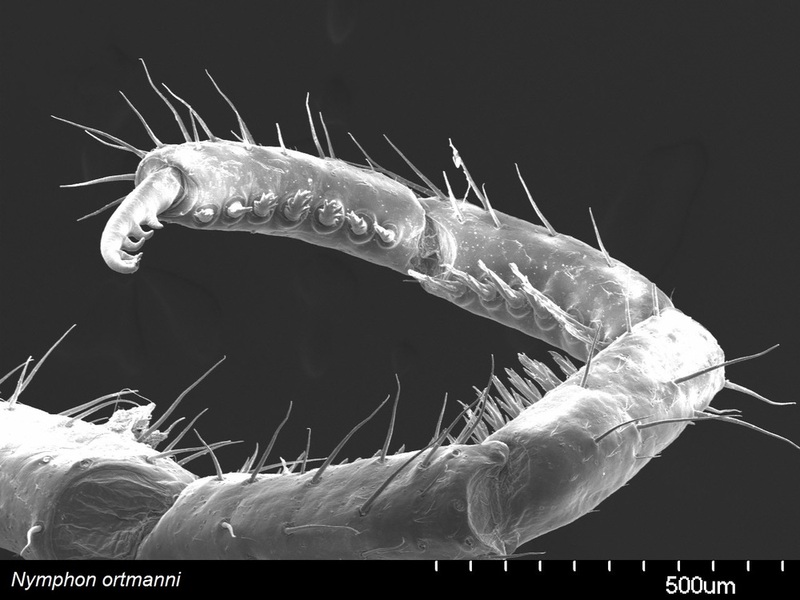 Sea spider cuticle host a diverse array of structures that come out from the cuticle. These structures vary in size and shape with species. 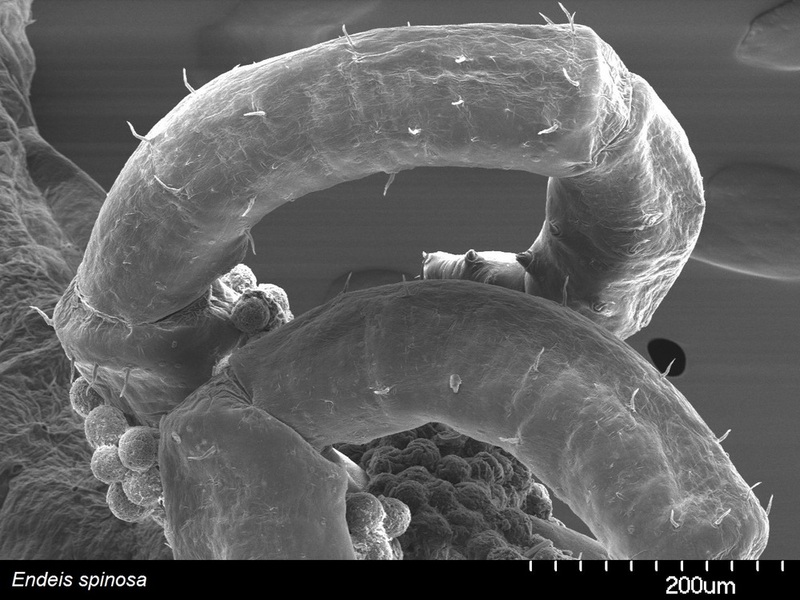 Below, are images of glands, called ‘slit organs,’ and sensory hairs, called ‘sensilla,’ from different species. The slit organs typically range from 2-8 μm in diameter and secrete mucus and other chemical substances. 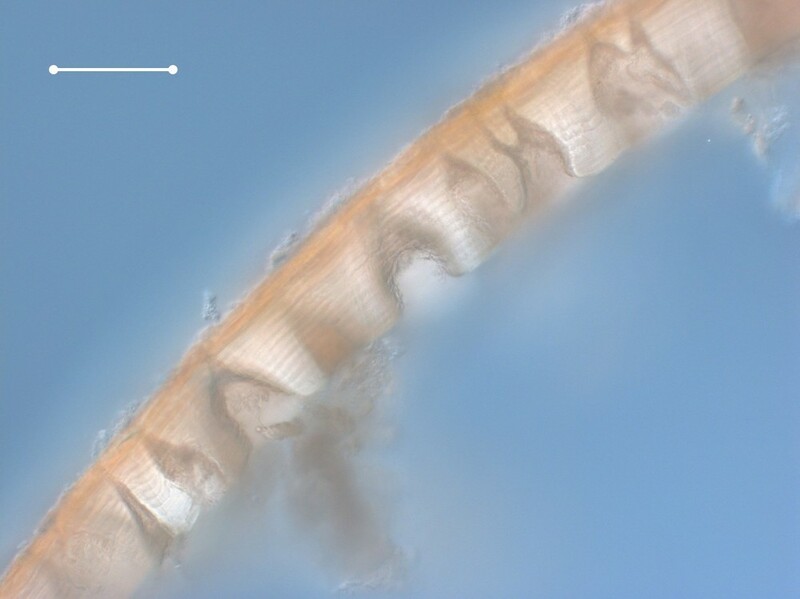 The number of hairs per sensilla varies from 2-6 depending on the species. Most species of sea spiders possess appendages that are specialized for grooming, egg-carrying, or both. 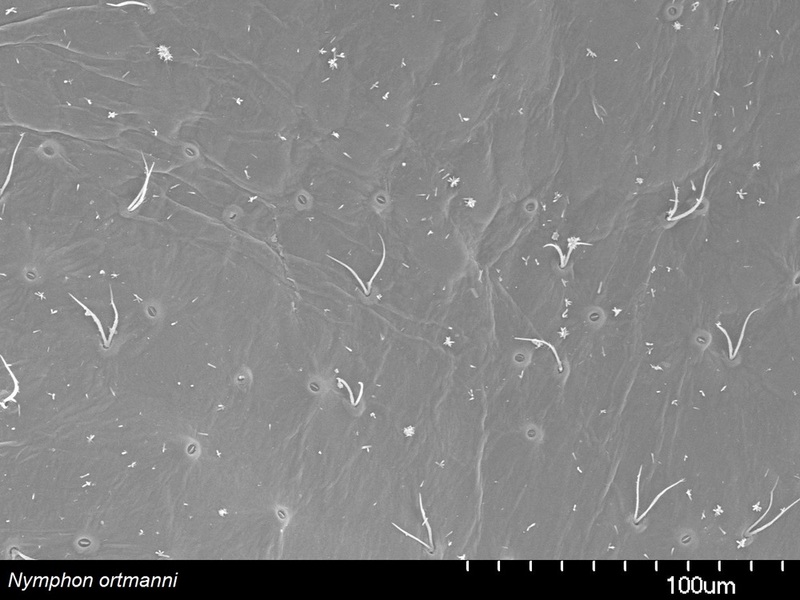 The following images are of the distal end of sea spiders’ ovigers. 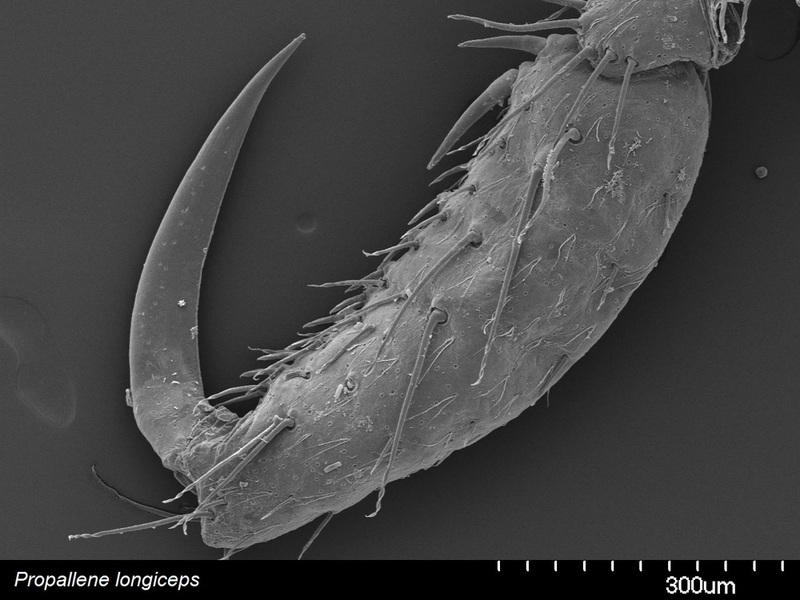 In some species, the terminal end of the oviger will hook into what is called a ‘strigilis.’ Some species have spines along their strigilis that they use to clean off attaching organisms by wrapping and sliding the strigilis along their legs. Other species lack spines along their strigilis or a strigilis altogether, and their ovigers are used only for carrying eggs. The claws, or tarsi, at the end of each leg vary based on the habitat in which the sea spiders live. 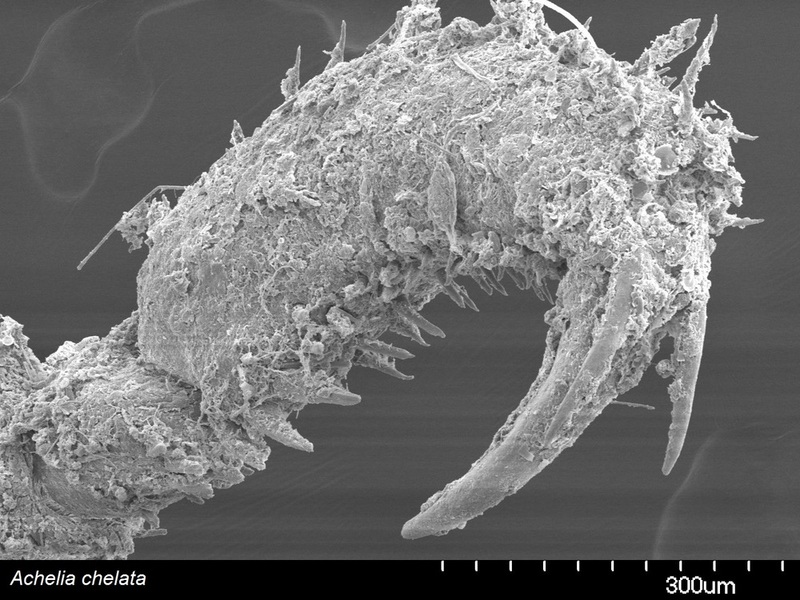 For example, Achelia chelata are often found clinging on to hydroids and their tarsi include several rows of compound spines in addition to two auxiliary claws and one terminal claw (see below).